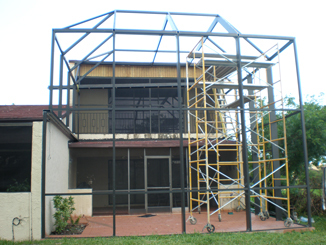 Screen Enclosure / Screen Repair / Aluminum Roof and More ! 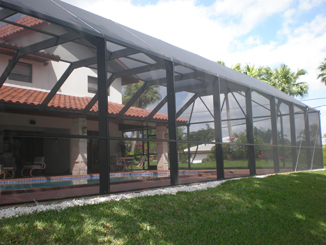 Screen Enclosure Designs is your one top source for all your screen enclosure needs. 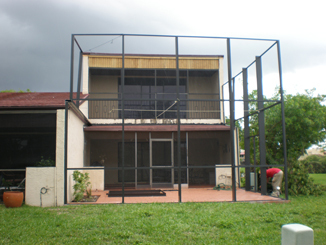 Our company is perfectly positioned to help you replace, repair or construct your next screen enclosure project. 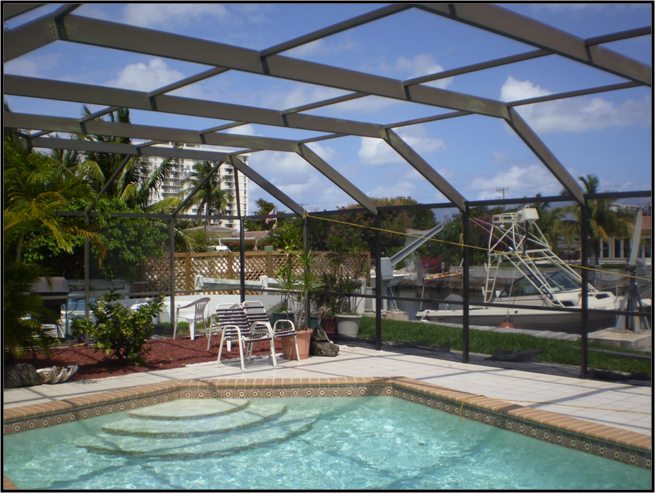 Screen Enclosure Designs has over ten years experience in constructing aluminum screen enclosures for residential communities all throughout South Florida including the Florida Keys. 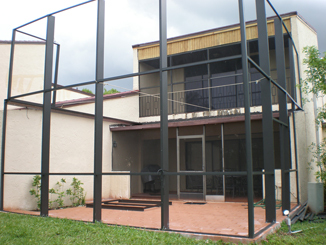 In residential condominium developments we specialize in screen enclosures for balconies. 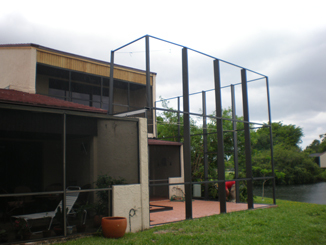 In private residences’ we build custom made screen enclosures for swimming pools, patios and terraces. 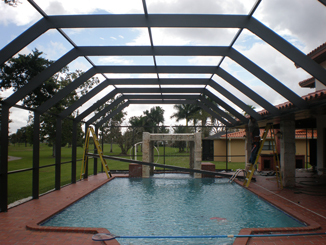 As a licensed and insured aluminum specialty contractor, we are dedicated in providing the highest quality of materials and workmanship. 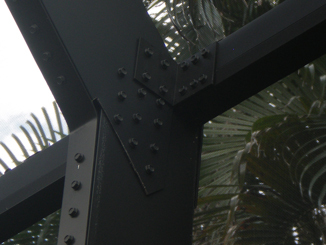 Engineering plans are prepared and certified by state licensed firm specific to each county jurisdiction. 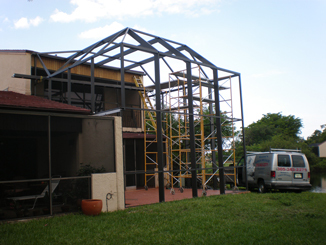 Product and engineering meet the newest Florida Building Code March 1st of 2009. Our professionally trained craftsmen take pride in their work and are supervised directly by owner of company. Using highest quality materials and specialized techniques, our installers are amongst the best in the business. "They installed our enclosure under 5 day's. Now that's what I call performance!" -Michael V., Miami Beach, FL.